Beetle mania is spreading, thanks to M.G. 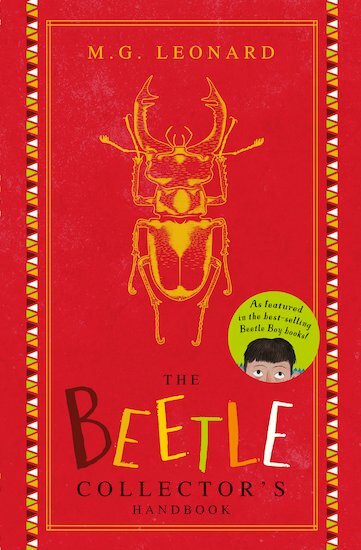 Leonard’s bestselling BEETLE BOY trilogy. In the books, Darkus Cuttle learns all about beetles from an old guide. Now that treasured book is available for readers everywhere to discover amazing beetle facts for themselves! Hilariously narrated by eccentric entomologist “Monty G Leonard”, this lavishly illustrated beetle guide is the perfect starting point for young collectors everywhere. From scary to weird, the 60+ species featured in this book are certain to inspire a lifelong love of Coleoptera.